CircleTalk was created to address the need to disrupt loneliness and isolation in the lives of older adults. Our solution is a turn key program that trains facilitators in the CircleTalk ™ method and curriculum. This allows organizations to provide thoughtful social engagement programming in any setting where older adults gather. CircleTalk programs directly support those providing life enrichment programs with a vibrant engagement tool that is easy to integrate into existing programming. Bring us to residential communities and anywhere older adults gather. Make connections with other people and form relationships inside and outside the group. Belong! Be a member of a weekly (or more frequent), structured and meaningful conversation group. Be involved in compelling and interesting conversations. CircleTalk is easy to access! All groups meet members’ hearing, vision and cognitive needs. Enable leaders to immediately begin CircleTalk programs through a cost-effective, one-day training program that includes curriculum and materials. Learn a powerful, professional development skill that simplifies creating a fun, interesting, and purposeful group. Have access to CircleTalk Master Leaders anytime you need them! Make your job more fulfilling by be being more connected to program participants and add meaning to your job. Provide a proven way to welcome new residents and support successful transitions. Ease family concerns. CircleTalk lessens family concerns about whether their family member will feel included and recognized as a unique individual. Meets the needs of a wide range of older adults in an easily customized program method and curriculum. The CircleTalk program is based on the principle that human connections are essential to the well-being of all individuals. In regularly scheduled meetings, participants engage in structured conversations and activities designed to promote self-reflection and interpersonal connection. Sessions are guided by trained leaders. These one-hour Circles are fun, interactive and easy to lead! How Does a Circle Work? In Circles, a leader follows an evocative curriculum and encourages participation from everyone. Circle members are first led through a guided “settling” exercise; a short, guided, sensory meditation that focuses the energy of the group. During the next hour, a leader will present light hearted discussion prompts that support spontaneity and encourages each member to contribute something about themselves. The leader facilitates more in-depth discussion as the hour progresses. CircleTalk discussion themes vary each week, encompassing topics such as cherished possessions, important events and people, the gifts of age, gratitude, reflection on seminal life, and historical experiences. Each week retains the same group processes and meeting “steps” and introduces new themes through poems, short stories, symbolic objects, images, music and touch. By providing a variety of creative modalities in a comfortable format, CircleTalk participants easily express thoughts, ideas and memories. The CircleTalk Leader Course is designed for anyone interested in providing valuable services to older adults who reside in a community or gather in any other setting including community centers, adults day programs, churches, libraries, etc. You simply need a place to gather a small circle of chairs! CircleTalk Leader Training is also designed for those who desire to build a new set of professional skills in group leadership and bring new energy into life enrichment programs. The curriculum and materials “kit”, developed and field-tested in over 3000 hours of CircleTalk programs, provides you with everything you need to effectively lead this structured conversation program and facilitate new and interesting conversations. CircleTalk was launched in 2011,introducing a fun, interactive conversation-based program for older adults. Since then, CircleTalk has opened the doors for many adults seeking new ways to connect with others and form new relationships. CircleTalk is based on the seminal work of Rachael Kessler and the PassageWorks Institute in Boulder, Colorado. Deborah has extensive experience in group dynamics and project management. 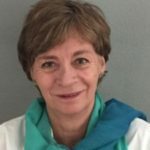 For the last 30 years, Deborah has served as Executive Director of the Society for Creative Aging as well as in numerous management consultant roles for non-profit organizations serving at risk populations. Deborah’s work focuses upon building capacity in people and pioneering new concepts that have powerful social impact. Cammie has worked in the non-profit sector for 25 years in many capacities including director of programming, marketing director, trainer and organizational consultant. She has trained nationally and internationally on leadership, management, customer service and job development for persons with disabilities. Cammie is an enthusiastic champion and always brings passion and energy to her work. 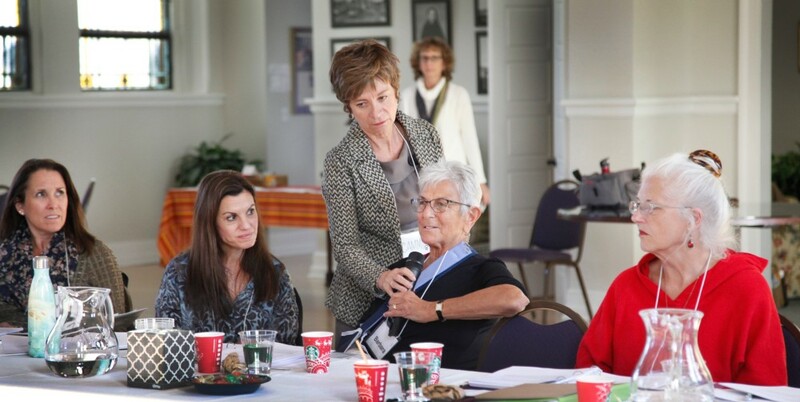 The CircleTalk Advisory Board believes that everyone needs and should have opportunities for deep and meaningful human connections and embraces the importance of the social entrepreneurial models that support the emotional well-being of older adults. Jenny Weyman Chartoff, Founder of CircleTalk. Jenny initiated the the translation of the Passageworks program to a senior setting. She is Chair of the Robert Chartoff Charitable Foundation and Vice President of the Buddha Educational Trust. 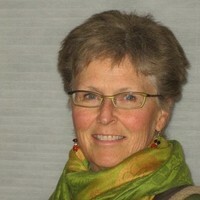 Ruth Hendersen, tax consultant and board member of Social Venture Partners, Boulder County. Ruth believes strongly in community, conversation, and caring. Lynn Israel, serves as Director of Community Engagement at PassageWorks Institute. Lynn has spent the majority of her career as a teacher, counselor and school administrator. She worked as an admissions and outreach at Colorado College and in Development at the University of Colorado. She is currently the co-chair of the Women Donor’s Network Earth Circle. She is also the Director of Development and dancer in local dance company. She received her Ed.M from Harvard University and a MA from the University of Santa Monica in Consciousness, Health and Healing. Alaine Lerner, principal at A.J. Lerner Market Research. With more than 25 years of market research experience as a consultant/research manager, Alaine designs and implements research studies to support new product development and other important business outcomes, inspiring creative, intuitive, and actionable strategies. Roberta Levin, has a Master’s Degree as a Family Nurse Practitioner and now uses her skills as a volunteer in interesting locations around the world. She has been involved in various capacities supporting the growth and development of numerous non profits in the Boulder area including Community Food Share, Jewish Colorado and, most recently, the new JCC in Boulder. Roberta is blessed with a 97 year-old father who would be perfect in CircleTalk and she hopes to one day see it offered in senior communities around the country. Harry R. Moody, retired vice president for Academic Affairs, AARP. Author of THE FIVE STAGES OF THE SOUL: Charting the Spiritual Passages that Shape Our Lives (Doubleday, 1997), now translated into seven languages worldwide, Harry is a visiting professor from the Creative Longevity and Wisdom Program, Fielding Graduate University. Michelle Osterman, a founding, enthusiastic CircleTalk advisor. With a professional background in educational and therapeutic engagement with the special needs community, Michelle is a volunteer and key funder for many social impact initiatives including Community Food Share, Allied Jewish Federation, and Perry Mansfield School for the Arts. Ellen Taxman, MA, Gerontology and Long Term Care Management. Having been involved in the field of aging services for 20 years, Ellen is an aging supportive services practitioner and policy maker. 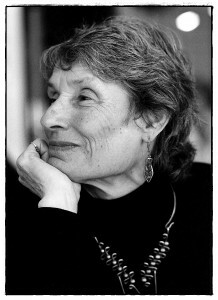 She currently serves as a volunteer long-term-care ombudsman, and chairs the Aging Advisory Council for Boulder County. Jack Williamson, Doctor of Ministry (D.Min) in Marriage and Family Counseling from Georgetown University. As a speaker and trainer for personal and organizational change, Jack is a certified training and business consultant for Interchange International, Inc. He has served as executive director for The National Conference on Ministry to the Armed Forces (NCMAF) and The Endorsers Conference (ECVAC), associations that bring together official representatives of all the major faith communities in the United States, for 16 years. Interested in learning more about CircleTalk or getting involved? We would love to hear from you. In building a better future for aging adults, we value all the ideas and feedback that you provide. Even if you just want to say hi, please reach out!